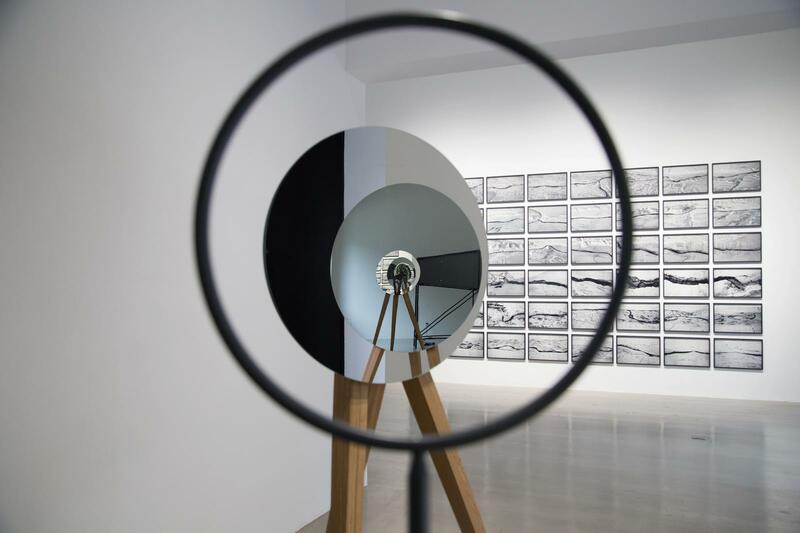 By assuming a certain vantage point in relation to three angled mirrors, a viewer can ‘peer through’ them, one inside another, as if she were looking down a tunnel. For Self-loop, a ring mounted on a stand marks the vantage point appropriate to achieve this effect, and the mirrors’ elliptical shapes are such that they are perceived as circles when seen through the ring. The mirrors’ arrangement positions the face of the second mirror in the reflection of the first, the face of the third in the reflection of the second, and the vantage point itself within the reflection of the third and ‘farthest’ mirror. Thus, at the end of the mirror tunnel, the viewer rediscovers herself – seeing herself from the side, seeing herself from the outside. The work develops the artist’s interest in borrowed view, a concept taken from Chinese and Japanese garden design. A borrowed view employs walls to frame some natural feature and incorporate it into the visual experience of the garden’s confines, thus ‘borrowing’ from the larger environment. 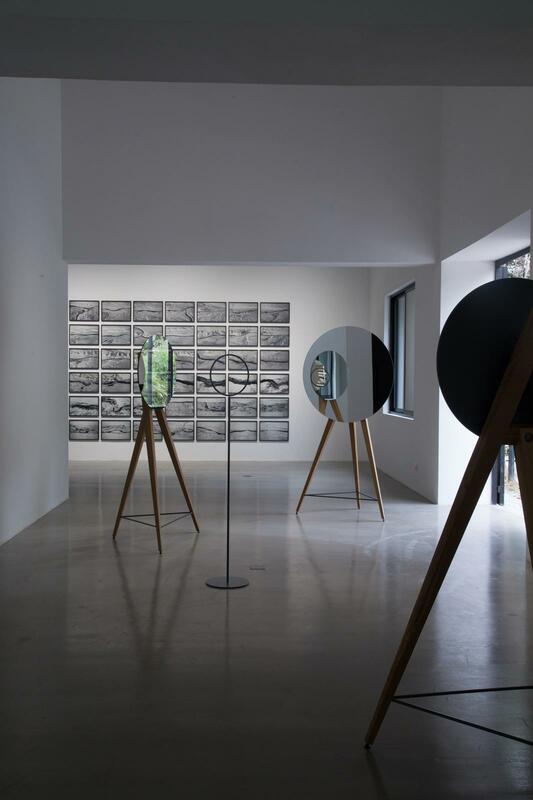 Instead of walls that frame a distant mountain or grove of trees, here mirrors interrupt the museum-scape with a view that is not only borrowed from within the museum itself, but that also ‘borrows’ the ‘borrower’. As an optical device, Self-loop frames for the viewer her own position as an actor within the museum: a borrowed view in short circuit.